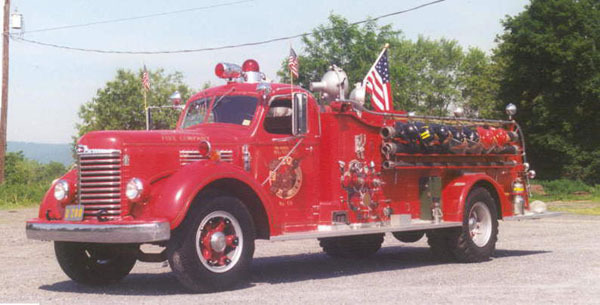 The famous "Moose" engine. 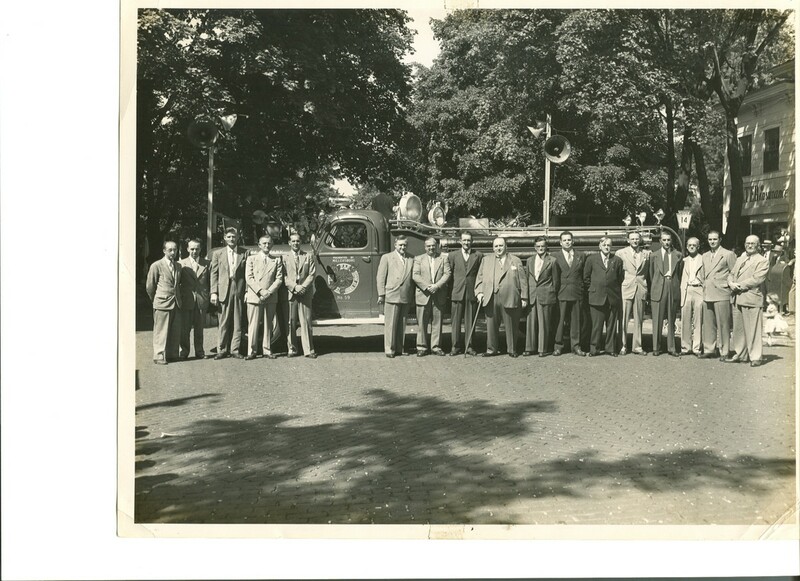 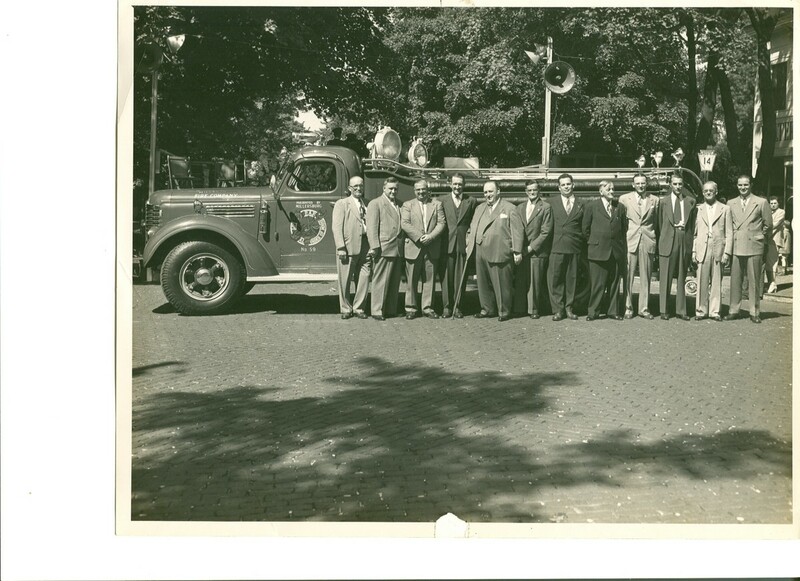 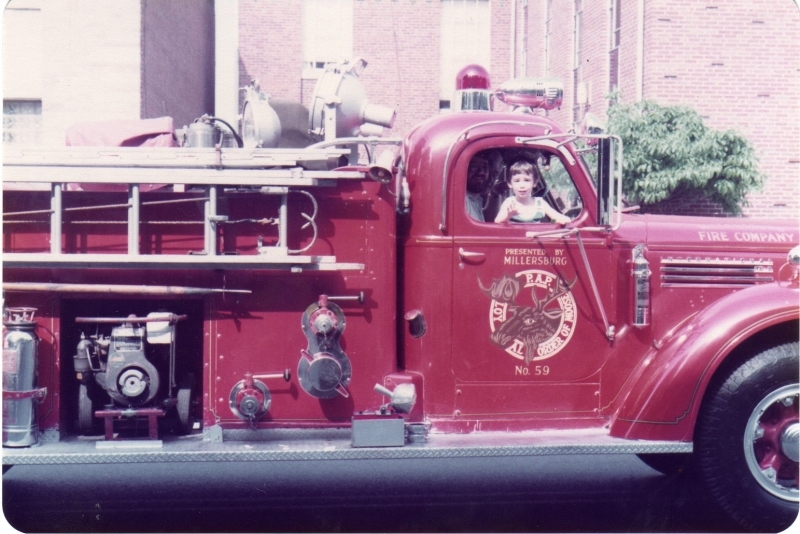 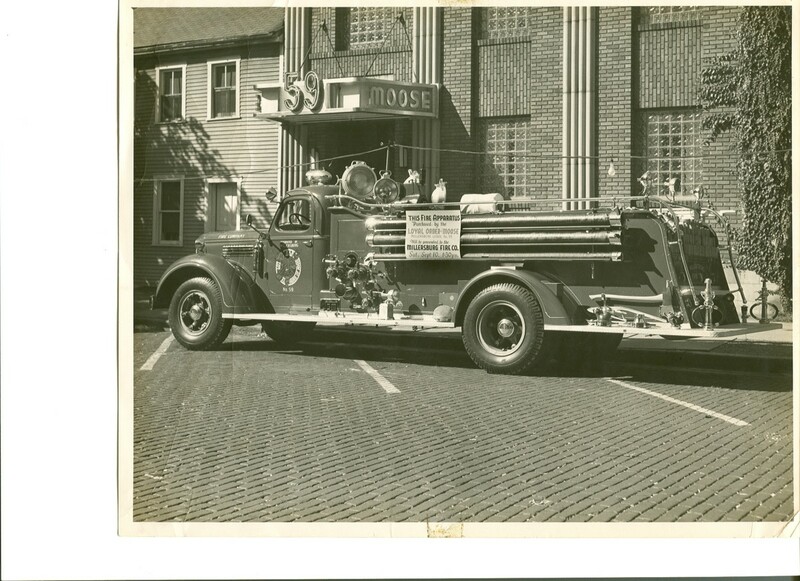 Donated by the Loyal Order of the Moose in 1948 to replace the aging American LaFrance engines. 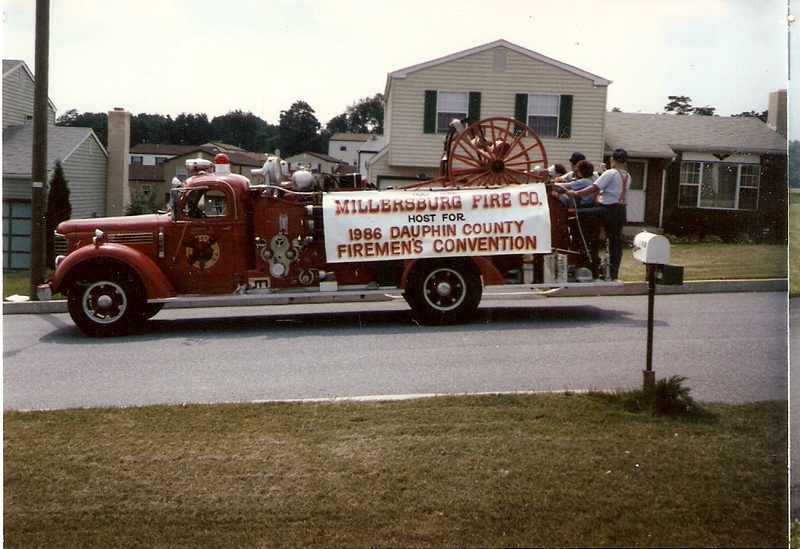 This engine had a 500 Gallon tank and a 600 GPM two stage centrifugal pump.This rig, with it's twin D201, served until the early 1990's. 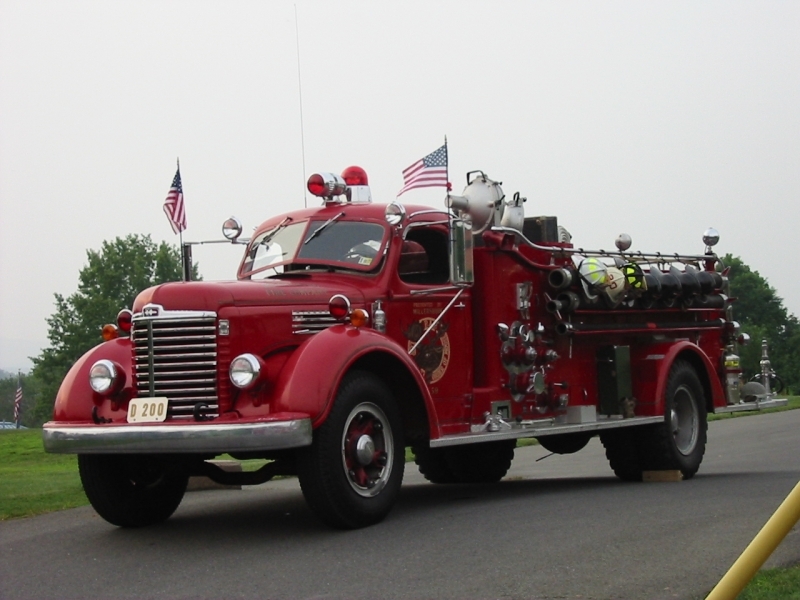 Currently owned by Chief 20 (Doug Snyder) and paraded at various events including Pump Primers.